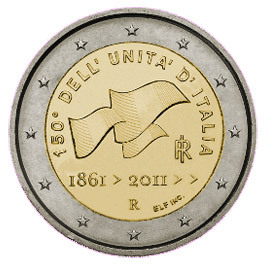 1c; 2c; 5c; 10c; 20c; 2€; 2€ "Fête de la musique"
1c; 5c; 10c; 20c; 2€ "150 ans de l'unification de l'Italie"
Last edited by romain17 on Sun Oct 02, 2016 1:08 pm, edited 12 times in total. 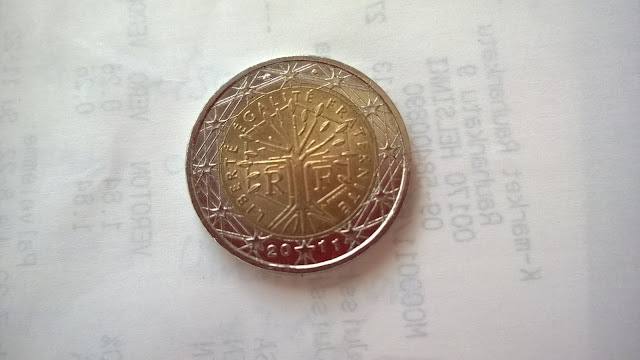 I got this normal 2€ coin two days ago. I just think that the numbers look like strange (too small and far from other numbers). Is this common in new French coins? I don't know why I haven't notice that if it's just a normal thing. Aatos99 wrote: I got this normal 2€ coin two days ago. I just think that the numbers look like strange (too small and far from other numbers). Is this common in new French coins? I don't know why I haven't notice that if it's just a normal thing. Thank you for the information. I just thought it might be mistake that the numbers are so small. Somehow I haven't look enough specify my French coins because I really haven't notice that.